What is the Best Marketing Automation Tool for my Company? Do I Really Need It? Segment your potential audience based on the set of different criteria and lots more. The search of the appropriate solution will largely depend on your business requirements, scale and budget. Are you B2B or B2C; will the tool be used by one or more dedicated specialists; what is the size of your prospect and customer database; do you have a list of subscribers; how often do you send e-mails; do your offerings vary depending on the information you possess about the prospect; how many touch-points do you have with your potential and existing customers; what is your main communication channel and so on and so forth. Frankly speaking, this won’t help. Just make a list of your everyday activities, and then look through that list to see what you’d like to automate. Given that some marketing automation tools are built for large companies and some cover the needs of the little ones; some cost thousands of dollars a month and some are free of charge, I prepared a set of recommendations which will help you remain focused and committed to what your real needs and desires are. Keep in mind that customer relations is an ever-growing part of your business, and so is the case with the marketing tools; as customers’ needs will never remain the same, so the marketing has to pick up those changes and be able to adjust in the course of time. To start you will need to determine the necessary elements that will contribute to your success. First you need a solid digital strategy, backed up by the proper planning (taking the right route), resources (content, campaign creation), additional systems (e.g. 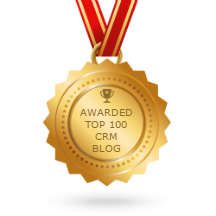 CRM system) and the measurement metrics which will indicate what works and what doesn’t. In brief, this strategy helps you define where you are and where your organization is making for, what you need to accomplish, what your automation goals are, what you are (or are not) doing online today and which results with marketing automation will help you measure your success. Knowing that many companies are not taking this way, you are highly encouraged to refer to the handful of useful materials, guides and even best-practices that you can leverage and which will help you not get tangled in marketing space. This content helps you gather the insights you need. Remember: if you start with a strong strategy, planning and reasons for what you are doing and a mature comprehension of what is required to make the process work, you are best positioned for success. Second don’t forget about the investment part. How your current revenues fit in the required budget? Be aware, that according to a 2014 Gartner Research study, “companies spent on average 10.2% of their annual 2014 revenue on overall marketing, with 50% of companies planning to increase [in 2015] to an average of 10.4%.”. So take into account how these investments are likely to pay off, meaning leads, conversions etc. Third think of the vocabulary. Very often the notion Lead is interpreted variously. Nothing strange. Different companies use the same terminology to mean different things. It is really crucial to establish the common terminology to know when every personnel either marketing or sales have to take on the interaction with the potential customer. It is difficult to convert leads into sales opportunities when you are not sure, whether this lead is sales-ready or still requires more education and follow-up. And last but not least, think of a demo or trial. Take a test drive. You need to make sure the system you are looking for must be easy to run otherwise your time, money and efforts will go down the drain as no one will want to deal with difficult to perceive interface and operations. Talking to lots of users who are already using this software will be worth doing to. What works best for you? Decision is not made easy. Lots of things come to mind when evaluating different marketing automation tools: required features, budget, provider, subscription terms and lots more. On the other hand, you have to think over content, common terminology, campaigns, activities and yes, manpower; thought a lot of tools help to automate marketing processes, you will still require a workforce to set them up. If you don’t want to end up as another unhappy statistic, bear in mind that the wrong choice will certainly result in wasted time and money. Remember, your prospects are at the center of your sales!